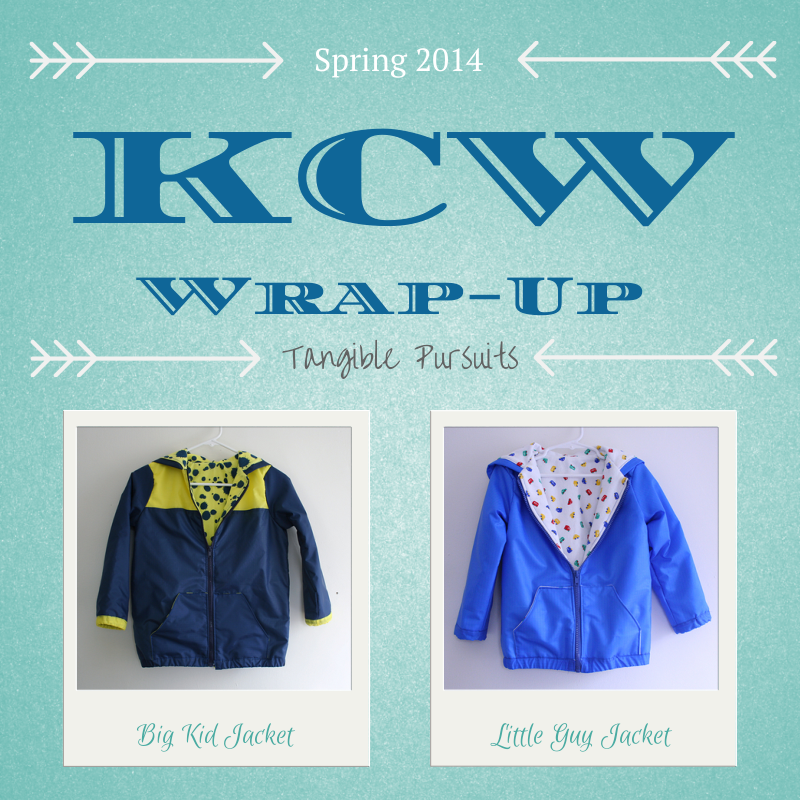 So, I completed two things for Kids Clothes Week: Spring jackets for both kids. Getting at least these two items done was my goal for the week, so I am glad I was able to meet that goal. Jackets are, of course, a little more time-consuming than many of the things I sew so I feel like that was a pretty good accomplishment. 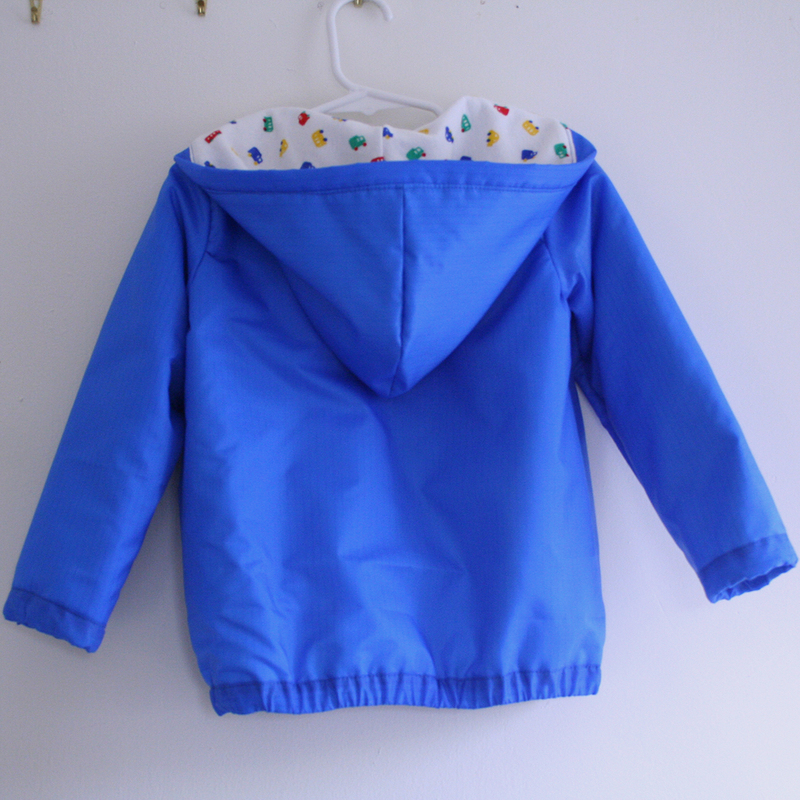 I made the jackets using the Starboard Jacket pattern (affiliate link) from Peek-a-Boo Pattern shop. I used rip-stop nylon from Fabric.com for the outer layer, jersey knit for the lining and flannel for an interlining to add a little extra warmth. 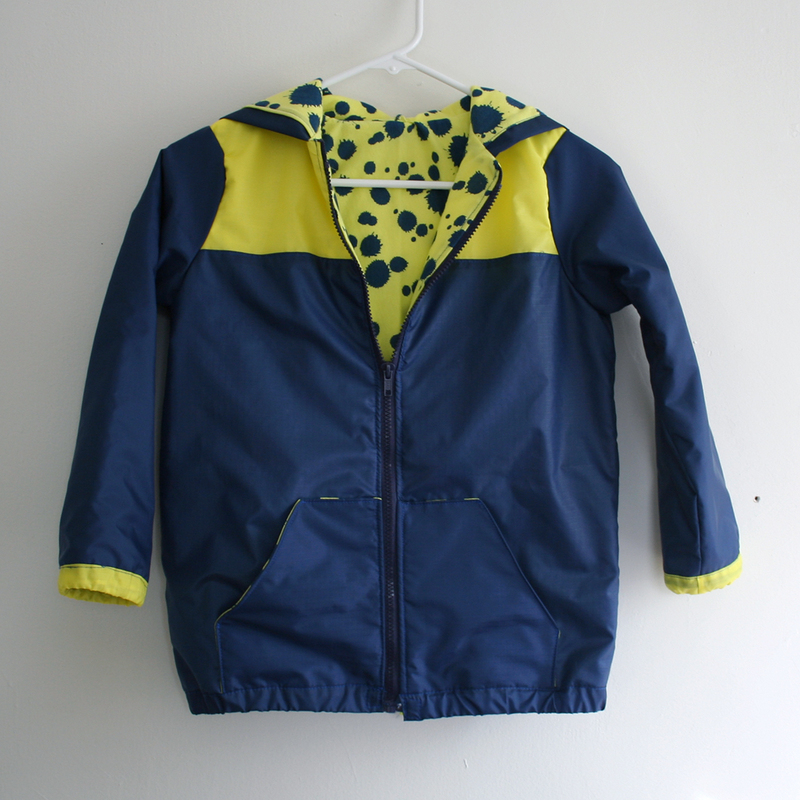 Originally when I asked the big kid what color fabric I should buy for the jacket, he chose yellow. 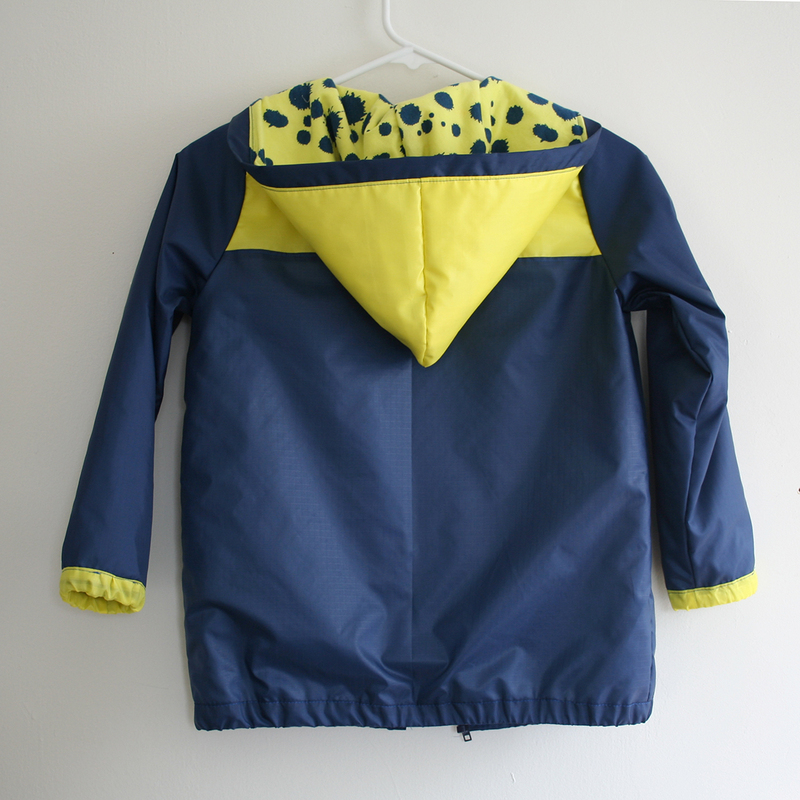 I, however, am not a big fan of yellow and could not imagine making the jacket all in yellow, so I decided to do some colorblocking on the outer part of the big kid's jacket with a yellow panel at the top of both back and front and yellow for the hood and cuffs, and then navy everywhere else. 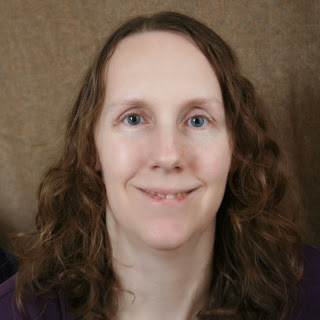 The lining is a cotton jersey knit I bought at Girl Charlee (affiliate link). It appears to be no longer available there, though. 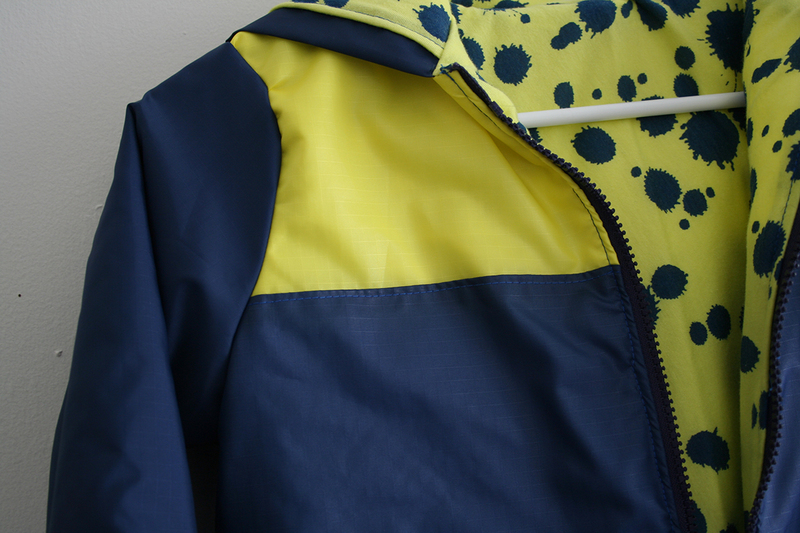 It adds a fun pop of yellow to the inside of the jacket as well. 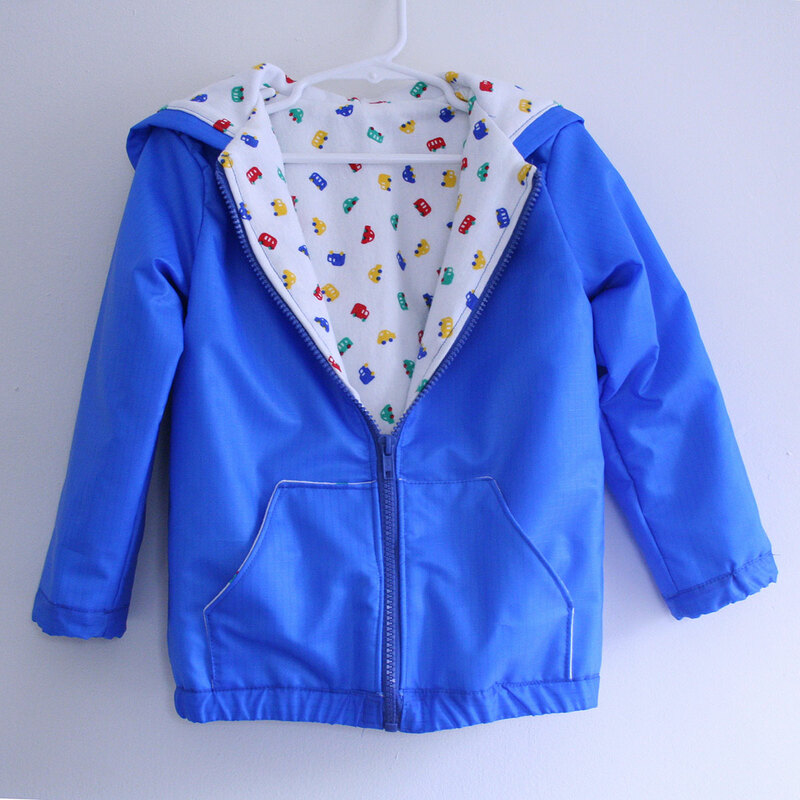 The lining in the little guy's jacket is a fun vehicle print that I got on Listia a long time ago. Working with the ripstop nylon was a little annoying because it is slippery and also frays a lot, but I like the way it looks in these jackets and hopefully it will hold up well. Don't forget, today is the last day to enter to win a free Craftsy class! Find out how here. Nice work! They look great. Both the jackets came out great!